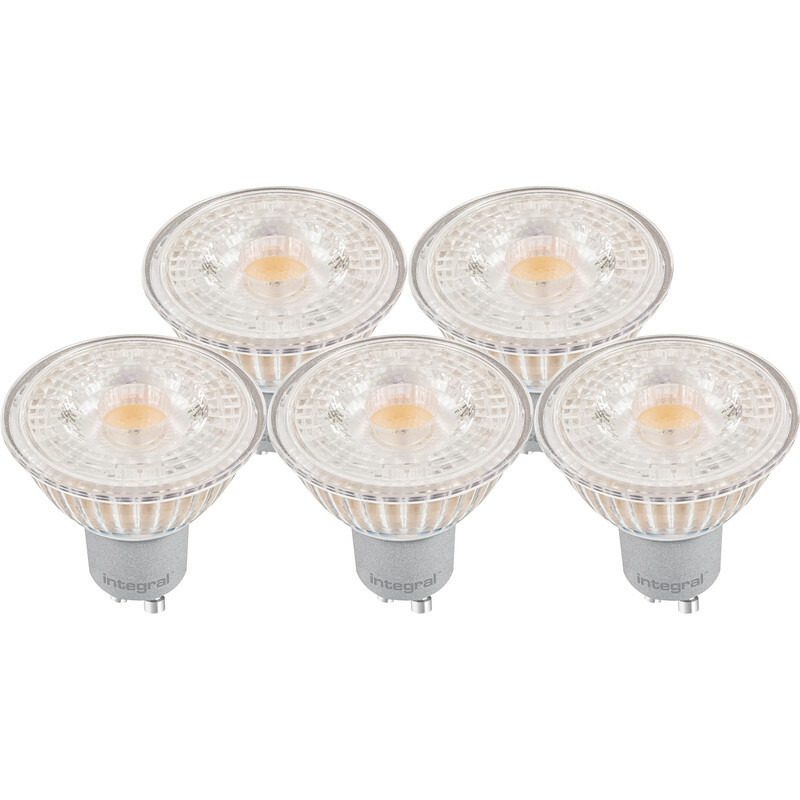 Integral LED Classic Glass LED GU10 Lamp 3.6W Cool White 250lm (5 Pack) is rated 4.6 out of 5 by 5. Rated 3 out of 5 by Vicar from So far so good. Have bought these to try as the last lot I purchased(meridian brand) only just about lasted for approx 1 month - just couple hundred hours per bulb , not very impressed with those but hopefully these will perform better, I will say the illumination is good!!! Rated 5 out of 5 by Realbigal1 from As described and a good product Fast delivery and good price. Rated 5 out of 5 by Bazza1949 from Brilliant Illumination Purchased these LED GU10 bulbs recently to replace my old non-led GU10 bulbs in my kitchen.The resulting illumination was astounding and makes the kitchen come alive at night time.